We explain the theoretical background of the wide trail design strategy, which was used to design Rijndael, the Advanced Encryption Standard (AES). In order to facilitate the discussion, we introduce our own notation to describe differential and linear cryptanalysis. 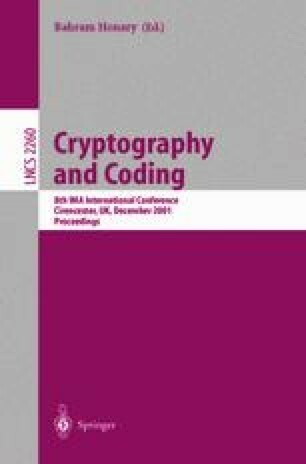 We present a block cipher structure and prove bounds on the resistance against differential and linear cryptanalysis.